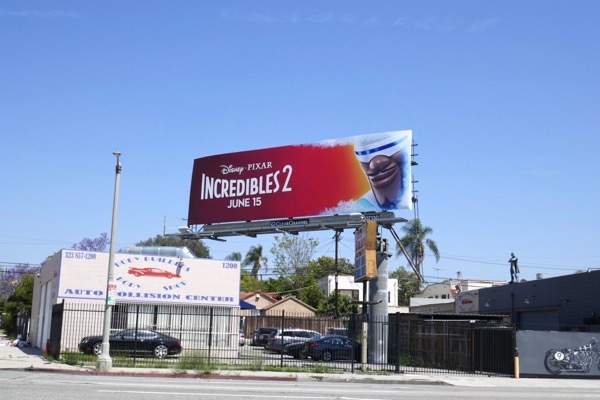 Welcome to another fantastic week here at Daily Billboard and today we thought we'd have a palate cleanser from all the Emmy consideration billboards inundating the city skyline of late, and offer up something equally super instead. 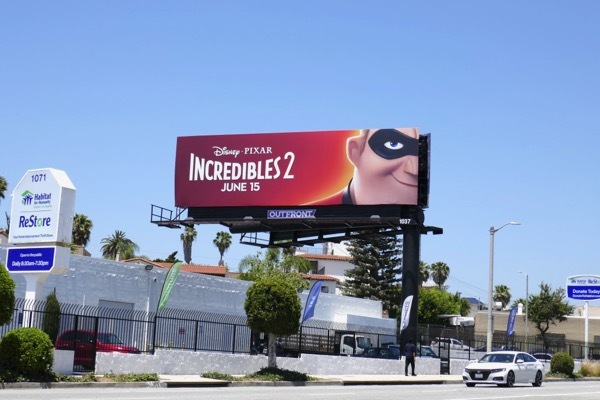 As you can see from this new family of billboard creatives, the summer of superheroes continues with the return of The Incredibles. 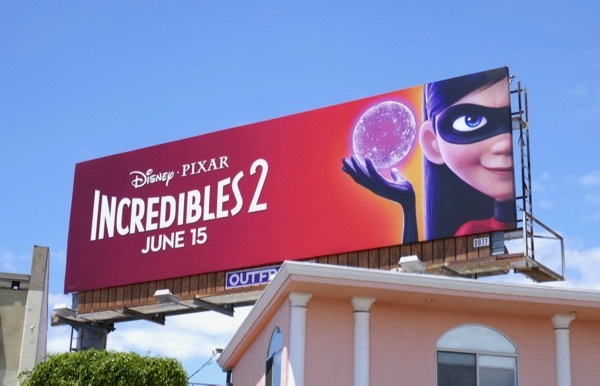 Fourteen years after their debut in 2004, the extraordinary 'Parr' family is back with a vengeance with these striking outdoor ads for Incredibles 2. 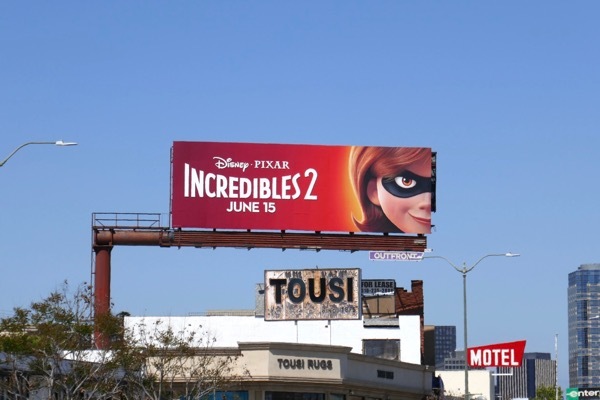 'Elastigirl', 'Mr. 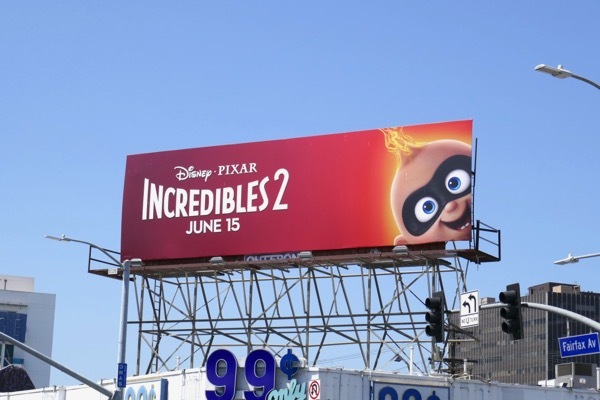 Incredible', 'Violet', 'Dash' and baby 'Jack-Jack' return for all-new adventures alongside their frosty friends 'Frozone' (voiced by Samuel L. Jackson) and fashion designer to the super-powered, 'Edna Mode'. 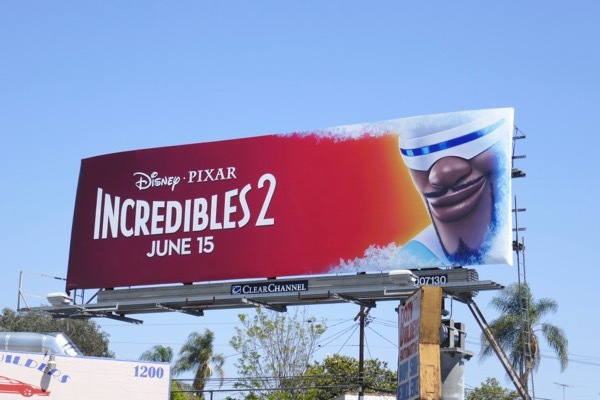 This time around the Elastigirl (voiced by Holly Hunter) is in the spotlight and out to change the perception of 'Supers' in the community, meanwhile Mr. 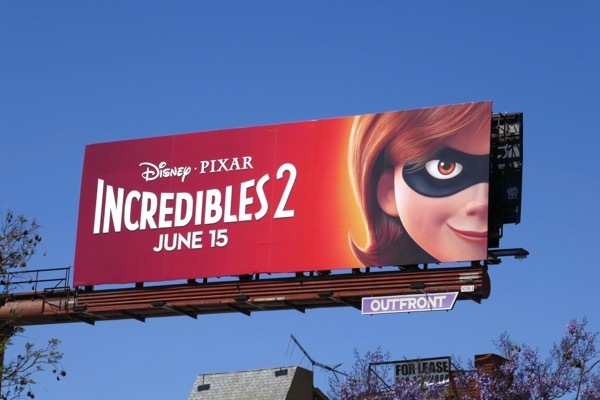 Incredible (Craig T. Nelson) becomes a stay-at-home dad whilst she's out saving the world. 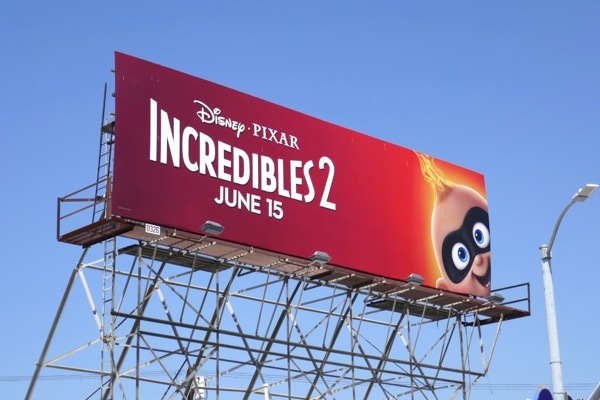 Will 'Bob Parr's' super-strength and durability be enough to deal with his baby boy's burgeoning abilities, a moody invisible teenage girl and other super fast son. 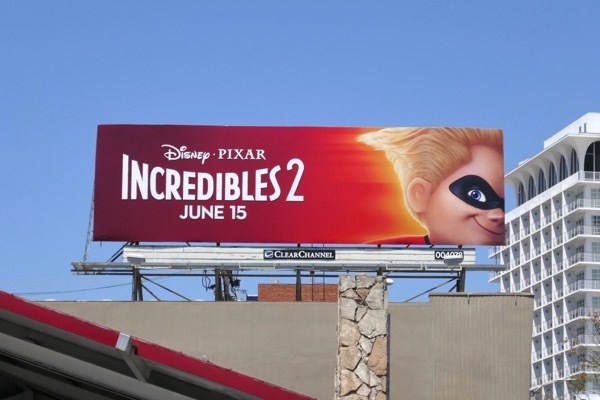 Picking right up after the first hit film, can Brad Bird's sequel deliver something new and exciting to the superhero genre given that the past decade has seen so many masks and capes explode onto cinema and television screens. 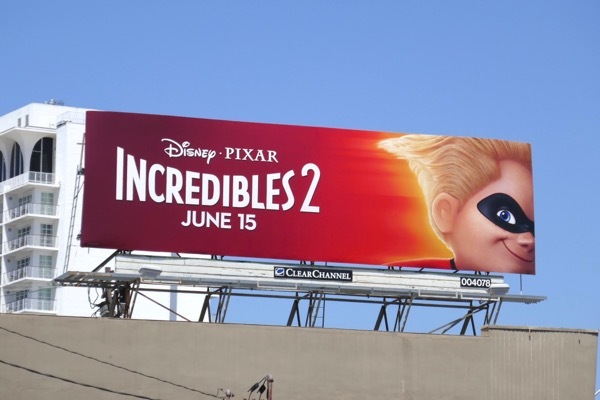 New threats, new foes, new life challenges, it looks like it's time for this super-powered family to suit up once again and save the day. 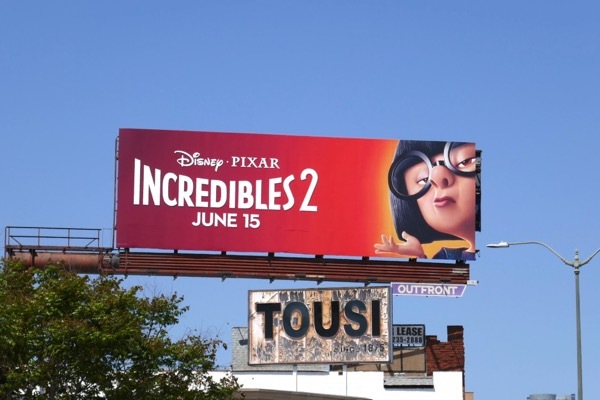 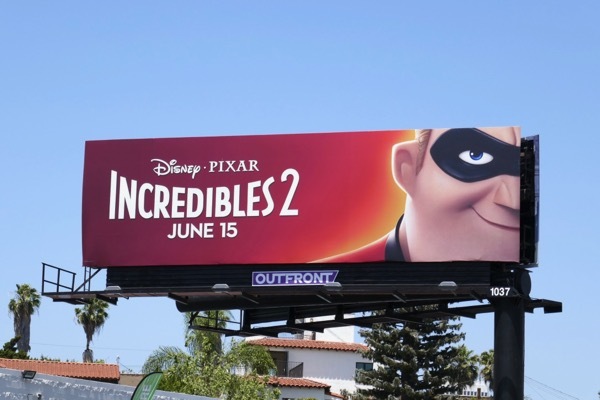 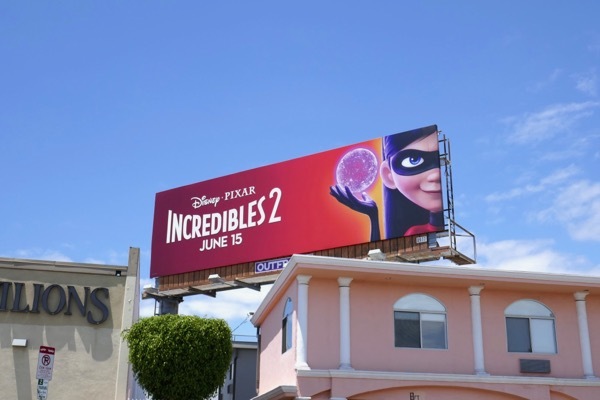 This impactful outdoor ad campaign for Incredibles 2 was photographed along the Sunset Strip, Pico Boulevard, Vine Street, La Brea Avenue, Fairfax Avenue and Santa Monica Boulevard from May 17 to June 2, 2018. 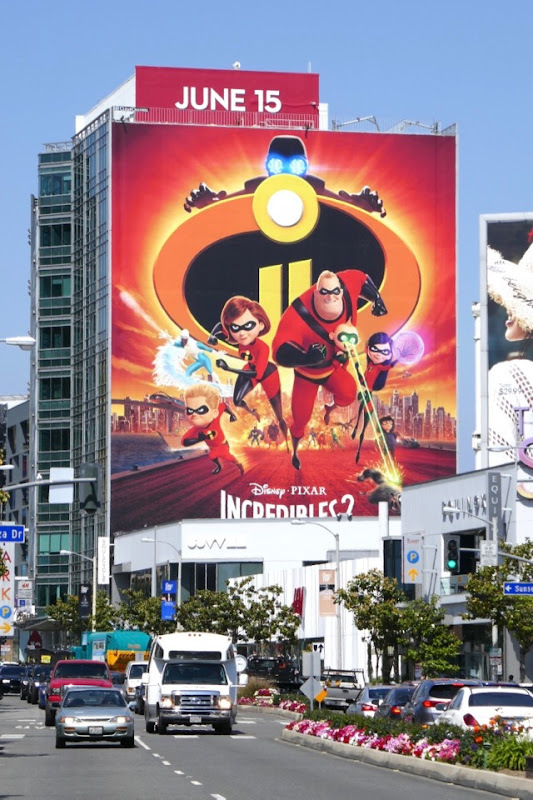 Fans of animation can also enjoy all these other Disney Pixar movie billboards filling the city skyline in recent years. 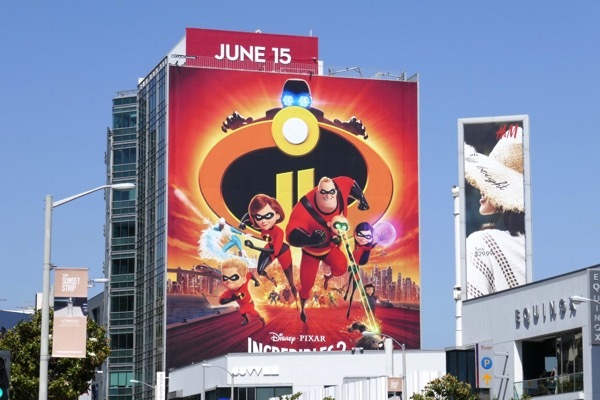 Meanwhile superhero aficionados can check out all these Marvel and DC Comics TV and film billboards. 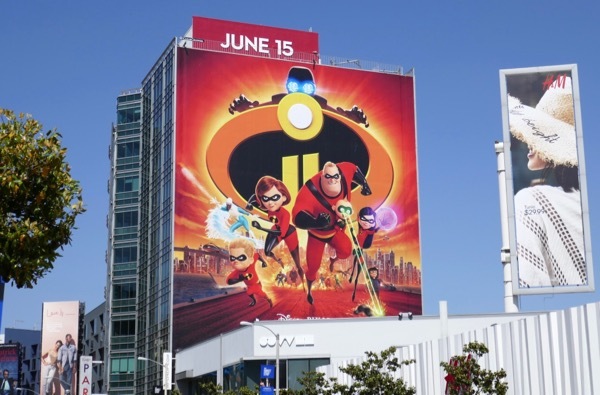 Let's hope this computer-animated sequel will be on 'Parr' with the original (pardon the pun), and don't forget, the family that saves together, stays together. 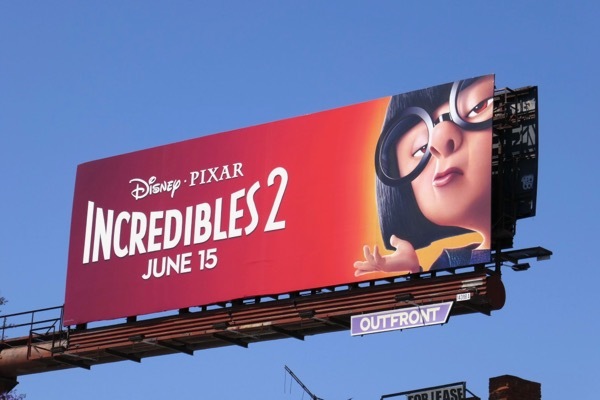 UPDATED: Congratulations to Incredibles 2 for its Academy Award nomination (although it may lose out to another superhero animated picture this year if Spider-Man: Into the Spider-Verse has anything to say about it). 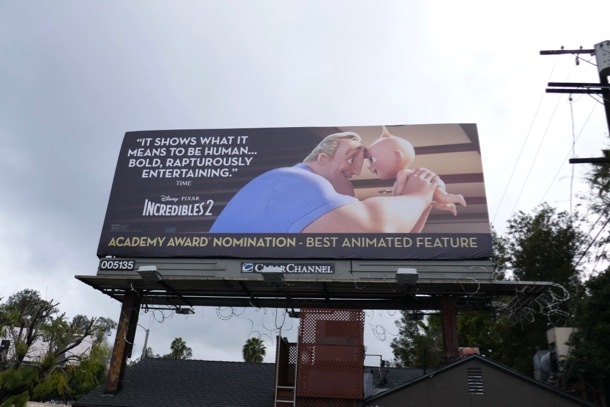 This sweet Oscar nominee billboard for the animated sequel was spied along Barham Boulevard on a stormy February 4, 2019.